THIS IS THE CHEAPEST 3BR CURRENTLY! VERY HIGH FLOOR, DON'T MISS! THIS IS CURRENTLY THE STARBUY FOR 1+STUDY! ONLY $17xxPSF! DONT MISS! 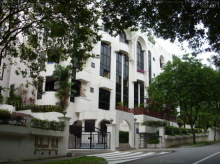 Call Koh Lili era 90616162 to view actual unit today !! Starbuy available! 1,2,3,4 beroom & Penthouse available.